This post draws on some of my PhD research - the quotes from Dorothy Thompson, John Saville, and Raymond Challinor come from conversations conducted in 2005, and the letters from EP Thompson I refer to are preserved amongst John Saville's papers in the archives of the Brynmor Jones library (that's right - Larkin's old haunt) at the University of Hull. Hyperlinks are in lieu of the footnotes I'm presently too lazy to write. 1956 was one of the most important years of the twentieth century, and its dramas created political crises and opportunities on both the left and the right. The Soviet Union’s invasion of Hungary and the near-simultaneous Anglo-French attack on Egypt raised fundamental questions about political systems on both sides of the Iron Curtain. The invasion of Hungary had a calamitous effect on the Stalinised Communist Parties of the West. One of the organisations most affected by Hungary was the Communist Party of Great Britain, which lost a third of its 21,000 members in 1956 and 1957. The dearly departed included some of the most outstanding intellectuals in Britain, people like EP Thompson, Christopher Hill, Rodney Hilton, John Saville, and Doris Lessing. Others like Eric Hobsbawm remained inside the party as 'internal émigrés' furtively hostile to the party leadership. The Communist Party Historians Group, whose work in the decade after the Second World War transformed the study of English and world history and still inspires reverence today, never recovered its lustre after 1956. But out of the ruins of 1956 a New Left, hostile to both Stalinism and NATO, was able to emerge in Britain and in a score of other countries, as dissident communists teamed up with a generation of young people disgusted with the hypocrisy represented by the neo-imperialist adventure in Egypt. The massive movements against war and capitalism which were such a feature of the late 1960s had their real origins in 1956. It is hardly surprising, then, that the fiftieth anniversary of 1956 has been marked by the left in many parts of the world. In Britain, the anniversary of 1956 has been marked by conferences and by a flood of essays and articles in academic journals and the media. International Socialism, a journal linked to the Socialist Workers Party, the largest far left group in Britain, has made a contribution by including a series of texts on 1956 and its aftermath in its Autumn 2006 issue. One of the most interesting pieces in the issue is Paul Blackledge’s ‘The New Left and the Revival of Marxism’. Blackledge is a young lecturer at Leeds Metropolitan University who has already published well-received books on Perry Anderson and on the Marxist theory of history, and he brings a good deal of research to his essay. Blackledge argues that the New Left opened up a new space on the left between the moribund traditions of Stalinism and social democracy. He contextualises the movement, and the remarkable year of 1956, by reminding us of the economic boom that had taken hold in Britain and the rest of the West in the aftermath of World War Two. Economic prosperity and the growth of the ‘consumer society’ had taken the sting out of the class divisions that had haunted Britain in the interwar years. By 1956, the General Strike of 1926 and the Hunger Marches of the 1930s seemed a lifetime away. The boom had emasculated socialist politics, because it had encouraged political apathy amongst much of the population. Trade unions became less like campaigning political organisations and more like bargaining agents, as workers found they could achieve improvements in their income and working conditions relatively easily, through isolated short-lived instances of industrial action that were related only to narrow economic questions. Both the social democratic leaders of Labour Party and the Stalinist leadership of the Communist Party adapted themselves to the atmosphere of economism and apathy. The Labour Party ceased to talk about a future socialist society; the Communist Party still talked vaguely of socialism, but insisted that change could be achieved peacefully, without the suffering and tumult seen in the Soviet Union. The Party’s masters in Moscow had bastardised and vulgarised Marxism, until it seemed as stale and politically irrelevant as the faded Fabianism of the Labour Party. Trotsky had tried to keep the flame of Marxist thinking alive, but he had been killed and his followers had been marginalised. Against Stalinism and social democracy, the New Left would raise the banner of ‘socialist humanism’. Blackledge identifies four events in 1956 which together opened up the political and intellectual space in which the first New Left would thrive. In February, Krushchev made his famous denunciation of Stalin to a conference of the Communist Party of the Soviet Union. Although Krushchev’s speech was supposed to be secret, summaries of it quickly reached Britain and the rest of the world. In Poland and Hungary, mass movements soon began to challenge the repressive regimes that were Stalin’s legacy. The third key occurrence of 1956 was the Soviet invasion of Hungary in November, which showed the limits of Krushchev’s attempts to reform the system Stalin had established. November also saw the invasion of Egypt by Britain and France, an event which brought home the fact that the bourgeois democracies of the West did not represent a particularly progressive alternative to the Soviet Union. By the end of 1956, an unlikely but dynamic mixture of dissident communists and angry students had emerged to oppose both the neo-Stalinism of Krushchev and the neo-imperialism of the Eden government. Having given the first New Left some sort of context, Blackledge moves on to a discussion of the ‘socialist humanism’ which he believes characterised the thinking of most of the movement. EP Thompson’s two-part essay ‘Socialist Humanism’ is identified by Blackledge as a key expression of the ideology of the first New Left. According to Blackledge, Thompson saw the Soviet Union and its satellites as societies which were both socialist and deeply oppressive. The fact that such societies were possible showed that, contra some of the cruder expositors of Marx’s ideas, the correct economic ‘base’ did not guarantee a satisfactory cultural and political ‘superstructure’. The Soviet Union and its satellites were evidence for Thompson’s contention that Marxists had to treat the superstructure of a society as more than some simple, automatic ‘reflection’ of that society’s economic base. According to Blackledge, Thompson argued that the Soviet Union of Stalin and Krushchev was the product of bad ideas rooted in the weaker parts of the Marxist canon, and reinforced by the desperate military and economic circumstances which the Bolsheviks had faced during their first years in power. Certain anti-democratic and mechanically materialist ideas of Marx and Lenin had become a ‘material force’ in the Soviet Union, to the detriment of that society. Blackledge is unimpressed by the positions he finds in ‘Socialist Humanism’. He argues that Thompson was wrong to call the Soviet Union and its satellites socialist states, with socialist economic systems, and wrong to believe that Lenin and to some extent Marx paved the way for Stalin. Blackledge believes that, because of the way he traced Stalin back to Lenin and Marx, Thompson mistakenly thought he had to reject aspects of Marx’s theory of historical materialism, as well as Lenin’s ideas on party organisation. In the section of his essay called ‘From Theory to Practice’ Blackledge considers the implications for the first New Left of Thompson’s supposed rejection of Marxism. Blackledge finds Thompson guilty of the anti-Marxist beliefs that British socialists could take power without a vanguard party, and without a 1917-style revolution. Examining Thompson’s 1960 essay ‘Revolution’, Blackledge finds what he believes is a faith in the possibility of a peaceful, gradual road to socialism in Britain. Overly impressed by the reforms to capitalism introduced by the Attlee government in the 1940s, Thompson thought that ‘radical change could be instituted relatively easily’ under the influence of a loosely organised movement like the first New Left. In thinking this way he underestimated the entrenched power of Britain’s capitalist class, not to mention the conservative bureaucracy that dominated the trade unions and the Labour Party. According to Blackledge, Thompson’s ideas on organisation were tried and found wanting in the Campaign for Nuclear Disarmament, a movement in which the first New Left played an important part. CND enjoyed some success in the late 1950s, mobilising tens of thousands of protest marchers and winning the 1960 conference of the Labour Party to a policy of unilateral nuclear disarmament. By the early 1960s, though, the movement was ebbing. The reversal of the 1957 decision at Labour’s 1961 conference created huge disappointment, and turnouts for anti-nuclear protests fell. In Blackledge’s view, the decline of CND and the lack of a revolutionary party at the head of the first New Left meant that many disillusioned young radicals turned to the Labour Party as a possible instrument of change. When Labour won office under the leadership of Harold Wilson in 1963 many of the remaining members of the first New Left rejoiced, because they had come to believe that he would implement some sort of peaceful socialist revolution. A once-promising movement had degenerated into a small group of bystanders cheering on a Labour government that was always bound to disappoint their expectations. Cliff was able to lay the basis for a powerful theory of the post-war boom… [he] immunised his followers from the worst excesses of ‘Third Worldism’…Cliff’s model of the post-war boom informed his analysis of the changing locus of Western reformism…this perspective allowed the International Socialism group to explain apathy…without dropping their revolutionary politics…This standpoint laid the basis for IS’s long-term orientation towards the working class. For Blackledge, the fact that only a small minority in the first New Left were inclined to accept the guidance of Cliff’s group only proves the correctness of its prescriptions: had the offer of leadership been accepted the first New Left would have flourished rather than floundered. As it was, Cliff gained a few recruits from the first wave of the New Left, and the increased size of his organisation helped it play a more central role in the revived New Left that appeared in the last years of the 1960s. it was left primarily to the International Socialism grouping to begin to realise the hopes of 1956: of building a socialist current independent of both Labourism and Stalinism…[International Socialism] was indebted to the New Left for creating a political space within which an independent left could begin to gain a hearing. There are a number of nice things that one can say about Paul Blackledge’s essay. It is clearly written and scrupulously footnoted, and it has a pleasingly symmetrical feel, balancing as it does the errors and inanities of Thompson and his reformist followers with the theoretical triumphs of Cliff and his revolutionary minority. Unfortunately, though, Blackledge’s schema bears little relation to the real history of the first New Left, and the real meaning of texts like ‘Socialist Humanism’. Blackledge has a very Whiggish tendency to airbrush out textual and historical details that contradict his attempt to retrospectively vindicate the views of Tony Cliff and his followers. Blackledge greatly simplifies the theory and practice of the non-Trotskyist parts of the first New Left when he conflates them under the label ‘reformist’. He underestimates the complexity of Thompson’s New Left texts, and overestimates the influence they enjoyed over what was always an amorphous and chaotic movement. It is worth counterposing the messy reality of the first New Left to Blackledge’s Manichean image of the movement. The most important fault line in the first New Left ran not between the followers of Tony Cliff and everyone else, but between the dissident communists who published the New Reasoner and the London and Oxbridge intellectuals who founded Universities and Left Review in 1956. Thompson and other stalwarts of the New Reasoner were mostly based in the industrial north and had a long-established orientation toward the labour movement; the young Turks of Universities and Left Review were more familiar with the student movement and took a sometimes cool view of trade union politics. The northerners were most interested in the revolt against Stalinism in Eastern Europe and industrial conflict in Britain; by contrast, the Universities and Left Review circle was preoccupied with the social and political changes that the post-war boom had brought to Britain. The New Reasoner and Universities and Left Review fused to create the New Left Review in 1960, but the tensions between the two groupings haunted the new journal’s editorial board and the New Left Clubs that had sprung up around Britain. EP Thompson played a major role in hostilities between the two factions. In a slew of internal documents and several published articles, he attacked what he saw as the dilettantism, disorganisation, and lack of class politics of the Universities and Left Review circle. In his study of the first New Left, Michael Kenny spoke of Thompson’s ‘extravagant moods and opinions’ and accused him of ‘self-righteous and petulant behaviour, likely to worsen rather ameliorate fraught situations’. The divergence between the New Reasoner and Universities and Left Review was not the only source of tension in the first New Left. Both factions were themselves divided by all manner of arguments. Important members of the New Reasoner circle were frequently at loggerheads over both theoretical and practical questions. John Saville and Dorothy Thompson, for instance, argued over the meaning of the welfare state Attlee’s Labour government had given to Britain. Dorothy Thompson saw the welfare state as a conquest of the working class and an embryo of socialism, whereas Saville saw it as little more than a bureaucratic sop to workers. The debate, which was fought out in the pages of the New Reasoner and in a series of letters, caused considerable tension between the Thompsons and Saville. 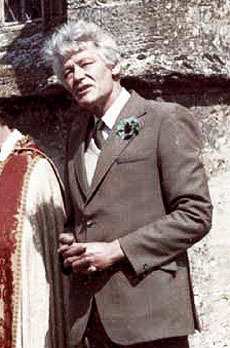 On the last day of 1959, at a time when the first issue New Left Review was being prepared and major efforts were being made to unify and organise the New Left, Edward Thompson wrote to Saville to accuse him of being ‘dogmatic’ because he was refusing to prioritise a discussion of his views on the Labour Party and the welfare state. For Thompson the conflict in the New Reasoner circle over these issues was a ‘crucial’ one which could not be ignored. I saw and heard, before and after your meeting with Universities and Left Review, attitudes redolent of condescension, suspicion, and overbearingness. In 1959 and 1960, Thompson attempted to create a base for his own ideas inside the Universities and Left Review circle by advocating a leading role in the New Left for a talented Oxford undergraduate named Perry Anderson. Within a couple of years, though, Thompson had begun a bitter dispute with his former protégé, who was showing an unhealthy interest in continental Marxism. By 1963, Anderson and his supporters had taken control of the New Left Review and marginalised the New Left Board. Thompson and the rump of the New Reasoner circle were forced into the wilderness, and Anderson inherited the much-diminished resources of the first New Left. It should be clear that the first New Left was a nest of infighting and factionalising, and that EP Thompson was intimately involved in both activities. Thompson’s partisan and often divisive role in the movement invalidates Paul Blackledge’s attempts to read texts like ‘Socialist Humanism’ and ‘Revolution’ as de facto manifestos for a monolithic ‘reformist’ majority of the first New Left. It should surprise no one that Thompson did not play the role of the great uniter inside the first New Left. Throughout his career, the author of ‘The Poverty of Theory’ made a virtue of opposition to the prevailing currents of both the left and the right. Thompson sometimes seemed to see disagreement as a necessity. Writing to Ralph Miliband and John Saville in 1972, he admitted that ‘it is reading something I disagree with that gets me writing’. Whether he was writing about the details of English history, the outrages of Stalinism, the threat of nuclear war, or the poetry of Blake, Thompson was an inveterate polemicist who took pride and pleasure in staking out and defending fiercely idiosyncratic positions. Yet, despite what Bryan D Palmer called a ‘streak of contrariety’, Thompson frequently showed great assiduity and skill in synthesising diverse ideas and arguments to create his idiosyncratic interpretations of historical and political events and literary texts. The Making of the English Working Class was a powerfully original work that shifted the axis of the social sciences, yet it also incorporated attitudes, concepts, and insights from a whole range of earlier thinkers and scholars, from William Morris to Lawrence and Barbara Hammond to Dona Torr. Amongst scholars of history and literature, Thompson was notorious for the obsessive thoroughness with which he read not only primary sources but also the historiographical literature on subjects that interested him. In order for us to appreciate EP Thompson’s thought, then, we have to recognise both its originality and its diverse sources. Paul Blackledge recognises neither. By looking carefully at some of EP Thompson’s key texts from the late 1950s and early ‘60s we can undermine Paul Blackledge’s account of his thought, and of the meaning and trajectory of the first New Left as a whole. Subtitled ‘An Epistle to the Philistines’, EP Thompson’s thirty-eight page essay ‘Socialist Humanism’ was published in the first issue of the New Reasoner in the spring of 1957. We have noted that Paul Blackledge criticises the essay for supposedly maintaining that the Soviet Union and its allies are socialist societies, despite being blighted by Stalinism. In Blackledge’s view, Thompson does not trace Stalinism to material roots in Soviet economic and social relations, but rather considers it as a system of ‘false ideas’ that became ‘a material force’ in its own right. According to Blackledge, Thompson believes that the ideas of Stalinism were ‘rooted’ in important parts of the classical Marxist tradition, so that Marx and Lenin ‘led to Stalin’. A careful reading of ‘Socialist Humanism’ calls Blackledge’s claims into question. Thompson begins his essay by arguing that the wars and revolutions of the first half of the twentieth century indicate that ‘mankind is caught up in the throes of a revolutionary transition’ to a new, socialist form of society. The new societies in China, the Soviet Union, and Eastern Europe are harbingers of this transition, but because of the desperate circumstances of their birth they have ‘features blackened by pain and oppression’. Thompson worries that British socialists, who have never experienced the agonies of war and White terror on their own soil, could become disillusioned by some of the negative features of the new, post-capitalist societies. He hopes to prevent this sort of disillusionment taking hold by differentiating socialist humanism from Stalinism. Thompson chides socialists who treat Stalinism as nothing more than the self-serving discourse of the layer of bureaucrats running the Soviet Union. While he accepts the association of Stalinism and the Soviet bureaucracy, he denies that Stalinist ideology can be reduced to a simple reflection of the bureaucracy’s social interests. He insists that Stalinism has an ‘inner logic’ and consistency that makes it a compelling creed for millions of people who do not share the privileges and cynicism of the Soviet bureaucracy. The task of ‘Socialist Humanism’ is to explain this ‘inner logic’. Thompson suggests that Stalinist ideology has three distinctive features: anti-intellectualism, moral nihilism, and denial of individual agency. Thompson believes that the revolts in Poland and Hungary began as a reaction by intellectuals against ‘Zhdanovism’, the philistine cultural policy imposed by the Kremlin upon both Western and Eastern Communist Parties at the beginning of the Cold War. political judgment is not envisaged as the – unattainable but approximate – summation of those moral, imaginative, emotional processes which are carried on throughout a society; but as the adjustment of human beings to the dictation of expediency or of ‘economic necessity’. Thompson turns to Stalin’s writings to show how Zhdanovism and moral nihilism are related to a radical denial of human agency. Stalin’s claim that ‘the rise of productive forces’ takes places ‘spontaneously’ and ‘independently of the will of man’ fits nicely with his denial of the importance of morality. If the individual can have no influence on the supposedly all-important factor in history, the development of productive forces, what use is there in the individual thinking freely, or making his or her own moral judgements? Thompson argues that ‘the ideology of Stalinism cannot be laid at the door of Stalin alone’. A few of Stalinism’s features can be traced to ‘ambiguities’ in Marx’s writings and certain ‘mechanistic fallacies’ in Lenin’s texts. Coining an argument he would use at length twenty years later in ‘The Poverty of Theory’, Thompson claims that Marx’s base-superstructure image is ‘a bad model’ with which to explain society, because it suggests a simple, one-way determination from the base to the superstructure, and ignores the myriad ways parts of the superstructure like culture and political ideas can influence the course of history. The base-superstructure model encouraged a type of mechanical materialism which reached its zenith in Stalin’s absurd claims about the ‘spontaneous’ growth of productive forces. The ‘reflection’ theory of consciousness that Lenin promotes in Materialism and Empirio-Criticism is open to the same objections, because it could be used to deny the creativity of human thought. In language that would be at home in Lenin’s Philosophical Notebooks, Thompson emphasises that the human mind does not merely receive reality in a passive, reflective manner, but actively shapes the world it perceives by deploying an armoury of interpretative concepts. Thompson emphasises that the occasional link between Stalinist ideology and the weaker texts of classical Marxism does not invalidate Marxism as a set of ideas or socialism as a political movement. Thompson may criticise Lenin’s philosophical juvenilia, but he also acknowledges the ‘rich harvest’ of the Bolshevik leader’s thought, and suggests that the errors in his thinking would have been corrected by his comrades if it were not for the degeneration of the revolution in the 1920s. In the final section of ‘Socialist Humanism’ Thompson suggests that the lesson of Stalinism is that in a period of historical transition the appearance of certain false ideas claiming to be socialist is inevitable, and that careful analysis and critique of these ideas is necessary if they are to be contained. Thompson warns against reacting to Stalinism by returning in a ‘fetishistic’ manner to the revolution of October 1917. He believes that Britain’s relative prosperity and long history of labour activism mean that revolutionary change will have to take a different form on ‘our parochial island’. We can see that Blackledge’s interpretation of ‘Socialist Humanism’ includes three important mistakes. Nowhere in his text does Thompson call the Soviet Union and its satellites ‘socialist’, as Blackledge claimed he did. Thompson merely refers to societies ‘of a new type’, reserving the term ‘socialist’ for the insurgent opponents of Stalinism in Hungary and Poland. Blackledge is also wrong to suggest that Thompson denies that the ideology of Stalinism arose from a material base. Thompson cites the economic backwardness of Russia - a backwardness that was exacerbated by the Civil War – as a key condition enabling the rise of Stalinism, and he identifies the bureaucracy of the new society as a key agent of Stalinist ideology. It is true that Thompson emphasises the ‘internal logic’ and ‘power’ of Stalinist ideology, and demands that Marxists take seriously the analysis and description of this ideology, but doing these things need not mean taking the idealist view that Stalinist ideology is autonomous from the economic foundations and social relations of the Soviet Union. Blackledge makes a third mistake when he grossly exaggerates the blame Thompson assigns to the ‘classical Marxist tradition’ for the rise of Stalin. Thompson does not believe that ‘Lenin led to Stalin’, or that Marxism is invalidated by Stalinism. He makes the far more modest argument that Stalinism was able to seize on a few fallacious or ambiguous formulations of Marx and Lenin and use them as justification for his tyranny, and that these formulations therefore have to be rethought. To criticise Blackledge’s reading of ‘Socialist Humanism’ is not of course to suggest that Thompson’s essay is without flaws. Thompson’s confidence in a ‘historical transition’ to socialism in the near future, his rose-tinted view of a British labour movement marked in the 1950s by apathy and economism, his failure to consider the strong element of voluntarist idealism in Stalinism – all these aspects of ‘Socialist Humanism’ have been deservedly criticised. But by simplifying the positions Thompson stakes out in his essay, Blackledge makes useful criticism impossible. He has made Thompson into a reformist, anti-Marxist Aunt Sally with whom he can contrast the authentically Marxist and revolutionary credentials of the New Left tendency to which he wishes to give retrospective support. the Establishment appears to rest upon an equilibrium of forces so delicate that it is forced to respond to determined pressure…if we nationalise…if we tax…if we contract out of NATO… At each point the initiative might provoke repercussions which would necessitate a total transformation of relations of production, forms of power, alliances and trade agreements, and institutions: that is, a socialist revolution. Blackledge has misunderstood this passage, along with the rest of ‘Revolution’. Thompson is arguing not that radical change will be ‘relatively easy’ for an elected government to institute, but that even a programme of left-wing reforms will destabilise British society so much that the necessity of revolutionary change will become clear to a majority of the population. In ‘Revolution’ as in ‘Socialist Humanism’, Thompson rejects the insurrectionist model of revolution associated with 1917, arguing that the peculiarities of British history and society mean that the election of a radical left-wing government based in the labour movement can be the starting point for radical change. The trouble is…no-one has yet clarified and pinpointed the crucial issues: how far it is possible for the capitalist class to continue making concessions without weakening the whole basis of their political and economic power: how far this is already weakened: where reformist and revolutionary views really diverge. Should the protest in Britain gain sufficient strength to force our country out of NATO, consequences would follow in rapid succession. The Americans might reply with economic sanctions. Britain would be faced with the alternatives of compliance or far-reaching re-orientation of trade. The dilemma would agitate the conscience of the whole people, not as an abstract theory of revolution but as an actual and immediate political choice, debated into the factories, offices, and streets…Ideological and political antagonisms would sharpen…Stringent controls would have to be placed upon the banks and finance houses…intrigues by members of the ruling caste might raise the question of ‘smashing’ the military-bureaucratic institutions. One choice would disclose another, and with each decision a revolutionary conclusion might become more inescapable. Thompson believes that, in order to survive, an elected radical government would have to reorganise British society from top to bottom, and in doing so transcend both capitalist property relations and the institutions of bourgeois democracy. And although he rejects a new October Revolution, Thompson does not reject the type of direct democracy that Russia’s soviets represented. As ever, Thompson’s views refuse imprisonment in the pigeonholes of lazy polemicists. Paul Blackledge is forced to ignore some of the more eloquent and suggestive passages in ‘Revolution’ in order to condemn its author as a naïve reformist. We have seen that Paul Blackledge is determined to create a dichotomy between on the one hand a revolutionary Marxist tradition that flowed through Trotsky to Tony Cliff and his International Socialists, and on the other hand a reformist left that consists of those members of the first New Left not fortunate enough to see the necessity of joining the International Socialists. In Blackledge’s schema, Trotsky and Thompson represent two sharply divergent traditions of left politics. Trotsky is the great representative of embattled revolutionary Marxism; Thompson symbolises those members of the left who naively reject Trotsky’s thought in favour of a warmed over social democracy. But a less biased reading of ‘Socialist Humanism’ and ‘Revolution’ is capable of complicating Blackledge’s schema by suggesting some intriguing points of contact between Trotsky the revolutionary and Thompson the reformist. Paul Blackledge is silent about a sentence that reads like an explicit endorsement of one of the key tenets of Trotskyism. ‘Revolution’ does not include any such nods to Trotsky, but there are some intriguing similarities between Thompson’s and Trotsky’s views on the transition to socialism. Thompson may have rejected a 1917-style insurrection as a route to power, but his notion of a series of radical reforms that both meet the immediate needs of workers and show the necessity of going beyond reforms to revolution recalls the transitional programme developed by Trotsky in the second half of the 1930s. Both Thompson and Trotsky reject the minimum-maximum programme of classical, pre-1914 social democracy, which isolated immediate demands for reforms to capitalism from the long-term goal of the transformation of society along socialist lines. Thompson retreated from the optimism of ‘Revolution’ in the 1960s and early ‘70s, but in the mid-70s he once again became enthusiastic about the prospects for radical change in Britain. In 1975 he sent Ralph Miliband a list of reforms which he felt the left and labour movement should demand from capital and the state amidst Britain’s deepening economic crisis. Thompson entitled his document ‘A Transitional Programme’. It is not only in explicitly political texts like ‘Socialist Humanism’ and ‘Revolution’ that intriguing similarities between the ideas of Thompson and Trotsky can be found. In her obituary for Thompson, Eileen Yeo noted that the great historical essay ‘The Peculiarities of the English’ owed one of its key arguments to ‘Socialist Humanism’. In ‘Peculiarities’ Thompson criticises the famous argument of Perry Anderson and Tom Nairn that England had experienced only a very incomplete bourgeois revolution in the seventeenth century, and that the aristocracy, or elements of the aristocracy, had for this reason controlled the British state well into the nineteenth century. Thompson insisted that England had experienced a genuine bourgeois revolution, and that the ‘Old Corruption’ that had controlled the state until the reforms of 1832 was not a distinct class, but merely a parasitic faction of the capitalist class that had managed to attach itself to the state. Yeo notes the parallels between Thompson’s interpretation of ‘Old Corruption’ and the view he advances in ‘Socialist Humanism’ of the Stalinist bureaucracy in the Soviet Union and its satellites. ‘Peculiarities’ is considered a classic defence of English historical particularism, but it may have as one of its key sources Trotsky’s analysis of the Soviet Union. In a review of Persons and Polemics, a posthumous collection of Thompson’s occasional writings, Chris Harman suggested that the work of Trotsky always lay ‘well outside the orbit’ of Thompson, even after he left the Communist Party. When he wrote the first of his two books about Thompson, Bryan D Palmer felt compelled to add a final chapter chiding his hero for his supposed neglect of the pre-Stalin Bolshevik tradition represented by Lenin and Trotsky. This passage and others like it might seem to settle the question of Thompson’s attitude towards Trotsky. There are three reasons, though, why we should be careful not to take them as the final words on the matter. If we read this passage carefully, we can see that it is really aimed at a part of the British Trotskyist milieu, not at Trotskyism as a whole or Trotsky himself. Thompson seems to be turning his guns on the group of Trotskyists often called ‘the Healyites’, after their undisputed leader Gerry Healy. Under the name The Club and (from 1959) the Socialist Labour League, the Healyites were a vociferous minority in the first New Left. The Healyites soon became known for their aggressive attitude toward other groups on the left and for their political and economic catastrophism. Healy and his followers became notorious for denying all evidence of the post-war boom and insisting instead that capitalism was on the brink of meltdown and that Britain was on the brink of revolutionary crisis. Am not too worried about Labour Review: we can discuss at our leisure. It’s comical how much they resent me. Thompson and Saville replied briefly to the Healyites in a ‘Letter to our Readers’ at the back of the Summer 1958 issue of the New Reasoner. Lamenting the Labour Review’s ‘long editorial attack, written in a prose style distilled in a Petrograd cellar in 1905’, Thompson and Saville condemned the ‘heresy hunting’ characteristic of Healyism, complaining about its ‘implicit assumption that he who deviates this or that way is a traitor to the Good Old Cause’. In an article for the Summer 1959 issue of the New Reasoner called ‘The New Left’, Thompson again turned his guns on the Healyites, calling them the ‘newest offspring of the Old Left’, and damning their ‘demonism, economism…and factionalism’. The similarity between these words and the criticisms of ‘Trotskyism’ in ‘Socialist Humanism’ is unmistakable. I am getting bored with some of the members of ‘Marxist’ sects who pop up at [New] Left Club meetings around the country to demand in a money-or-your-life tone of voice whether the speaker is a Marxist, whether he ‘believes in’ the ‘class struggle’, and whether he is willing to give instant adhesion to this or that version of the Creed…most Clubs have suffered from one or more of the hectoring prophets…At the worst, such people…can be an active nuisance within the socialist movement, with their jargon, their conspiratorial hocus-pocus, their discussion-hogging, their dissemination of suspicion, and their willingness – for whatever reason – to wreck any organisation they can nobble. Significantly, Thompson explicitly excludes the International Socialists from these criticisms. It is tempting to believe that Thompson’s criticisms of Trotskyism in ‘Socialist Humanism’ are really criticisms of the Healyites’ peculiar version of Trotskyism. There is certainly no reason to grant the Healyites a monopoly on the interpretation of Trotsky’s ideas: during the period when first The Club and then the Socialist Labour League were appealing to the authority of the great man to justify their absurd predictions and sectarian behaviour, the International Socialists and the Revolutionary Socialist League grouping led by Ted Grant were insisting upon the reality of an economic boom and the post-war stabilisation of the West. It is hard to see the accusations of catastrophism and hysteria in ‘Socialist Humanism’ applying to either of the Healyites’ main rivals on Britain’s Trotskyist left. We must also ask ourselves whether there might have been ‘tactical’ reasons for EP Thompson to be reticent about an influence by Trotsky on this work. Thompson liked to present both his political thinking and his historical research as the fruit of a distinctively English radical tradition running from groups like the Levellers through the likes of John Thelwall and William Morris into the twentieth century. He was fond of contrasting the supposed indigenity of his ideas to the alien doctrines of the Kremlin and of fashionable Parisian intellectuals like Sartre and (later) Althusser. Acknowledging an important debt to a Bolshevik leader who had written contemptuously of Britain’s radical tradition might undermine such a contrast. It is worth noting, too, that Thompson could be less than forthcoming about the sources of some his arguments. In ‘Outside the Whale’, his great essay against the slide of WH Auden and George Orwell into political ‘quietism’ and then acquiescence with the Cold War, Thompson borrowed his interpretation of the development of Auden’s work from the American poet and critic Randall Jarrell without acknowledging the debt. We have seen that there are intriguing similarities between some of Trotsky’s ideas and some of Thompson’s arguments in his New Left writings; we have also seen that Thompson’s occasional expressions of hostility towards ‘Trotskyism’ should not preclude an investigation of the possible influence of Trotsky on his thought. If Thompson was influenced by Trotsky, though, what were the sources by which Trotsky’s ideas reached him? To answer this question we must examine some of Thompson’s private correspondence, and hear the testimony of some of his friends and comrades. There is a common view, reflected in Chris Harman’s review of Persons and Polemics, that members of the Stalinised Communist Party of Great Britain were ‘outside the orbit’ of Trotsky’s thought. 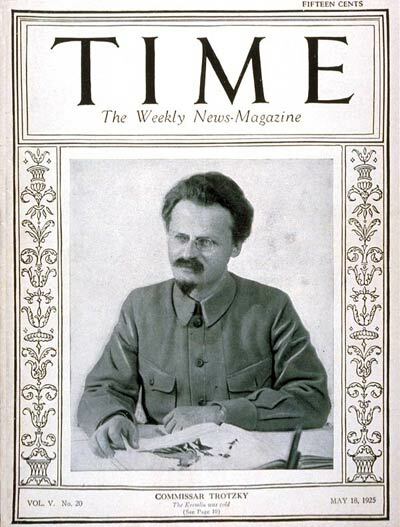 Dorothy Thompson has disagreed with this opinion, insisting that Trotsky’s writings were well known to members of the party, even before the crises of 1956 opened up more space for critical discussion of Stalinism. Dorothy states that she and Edward and their circle within the party had read and discussed Trotsky well before 1956. For his part, the Thompsons’ old New Left comrade John Saville has said that Trotsky was little-known even to intellectuals within the party in the decade after the war, but that ‘after 1956 we were all trying to catch up’. Dorothy Thompson’s and Saville’s memories may not actually contradict each other: before opposition to the party line brought them together in 1956, Saville and the Thompsons had not known each other well. Edward, who still considered himself first and foremost a poet, had been heavily involved in the party’s organisation for writers, and had thus moved in a milieu unfamiliar to Saville, who spent most of his party time working with the local organisation in Hull. In any case, Saville and Dorothy Thompson certainly agree that Edward was reading Trotsky’s work by the time of the first New Left. I was agreeably surprised by the current issue of the New Reasoner. It is definitely making a useful contribution to socialist thought as well as helping to break down the avid factional barriers…I believe you still have some literature of mine, including Trotsky’s ‘New Course’…perhaps you’d send them back? In the early 1950s, when I edited Socialist Review, I had a number of long discussions with him. Unlike other members of the Communist Party, he was not arrogant or aggressive…he already had doubts about the latest Stalinist encyclicals on subjects like Lysenko and linguistics…as his knowledge of the British working class grew greater and greater, he found it an increasing problem to reconcile the wisdom he had acquired with the inanities of Stalinism. The thought control the Communist Party sought to impose was deeply repugnant, a violation of his very being. Speaking in 2005, Challinor confirmed that he had regularly supplied Thompson with writing by Trotsky in the 1950s. ‘He took it, read it, and always found it interesting’, Challinor remembered. It seems, then, that Challinor was a conduit by which Trotsky’s ideas reached Thompson. It should not be assumed, though, that Challinor’s support for the International Socialists meant that Thompson absorbed that organisation’s brand of Trotskyism from him. During the 1950s Tony Cliff and his supporters espoused a highly idiosyncratic interpretation of Trotskyism which involved the abandonment of Trotsky’s analysis of the Soviet Union, his transitional programme, and most of his theory of permanent revolution. Many Trotskyists outside Cliff's group felt it had rejected most of what was distinctive about Trotsky’s ideas. We have detected the influence of Trotsky on Thompson’s analysis of the Soviet Union and other Eastern bloc societies, and on Thompson’s ideas about the transition to socialism. Yet Trotsky’s views on both these subjects were rejected by the International Socialists. Isaac Deutscher may well have been a second conduit by which the ideas of Trotsky reached EP Thompson. A veteran of the early years of the Trotskyist movement, Deutscher emigrated to Britain in 1939, where he wrote his famous three volume biography of Trotsky. Deutscher became a sort of godfather to the first New Left, and published frequently in its journals. He was a close friend of Ralph Miliband, one of the most active figures in the circle that published the New Reasoner. Thompson’s opinions about with Deutscher were not always positive – in 1958 he blocked Miliband’s plans to publish the Pole’s review of Doctor Zhivago in the New Reasoner, claiming that the piece reduced literature to politics. As Thompson’s view of the Soviet Union and its satellites hardened in the early 1960s he may have felt critical of Deutscher’s analyses of events in the Eastern bloc, as well. Nevertheless, Dorothy Thompson remembers that she and Edward ‘always got on well’ with Deutscher, and frequently had long discussions with him. Thompson’s recommendation of Deutscher’s ‘flexible and undogmatic’ view of the Soviet Union at the beginning of ‘Socialist Humanism’ testifies to the respect he felt for the exiled Pole. It is also worth noting a passage near the beginning of ‘Socialist Humanism’ where Thompson asserts that ‘Stalinism has now outlived the social context within which it arose, and this helps us to understand the character of the revolt against it’. This argument, and the optimism that runs through the whole essay, seem strongly influenced by Deutscher, who believed that the distortions of Stalinism would fall away in the face of popular protest, as the increasing material wealth of the Eastern bloc societies made the repression of the Stalin era unnecessary and impossible. Paul Blackledge is determined to make Thompson the standard bearer for a naïve reformist faction of the New Left ignorant of the revolutionary Marxist tradition represented by Trotsky and his followers. In doing so, he ignores the originality and syncretism of Thompson’s thinking, as well as the diversity of the first New Left. Blackledge’s simplifications seem designed to valourise the role played by the International Socialists in the first New Left and thus, one suspects, help justify the Socialist Workers Party’s claims to be the ‘true’ representative of revolutionary Marxism in Britain today. But teleology and real history are two very different things. A look at some of Thompson’s writings from the late 1950s and early ‘60s and an examination of his political contacts and reading in that period make it difficult to avoid the conclusion that certain key ideas of Leon Trotsky exerted an important influence over him. This is not to say, of course, that Thompson was in any sense a Trotskyist. To say so would be as absurd as claiming that he never read Trotsky. Instead of accepting or inverting Blackledge’s categorisation, we need to break with the Manichean approach to intellectual history that it represents. *To be fair, Blackledge does discuss a number of other minority factions of the first New Left – the ‘orthodox’ Trotskyists led by Gerry Healy, the semi-anarchistic Solidarity tendency – and he does explain some of the differences between the New Reasoner and Universities and Left Review circles. He also attempts to throw a bridge up over the chasm that separates EP Thompson and International Socialism by discussing Alasdair MacIntyre, the philosopher who was one of the few members of the first New Left to join Cliff’s group, albeit briefly. Blackledge believes that MacIntyre’s rejection of the notion that the Soviet Union was in any sense post-capitalist represented an advance over Thompson’s more contradictory viewpoint, and pointed towards Cliff’s theory of state capitalism. But Blackledge’s occasional acknowledgements of the heterogeneity of the first New Left do not really impact upon his reading of Thompson, and his dichotomising of Thompson’s supposed reformism and the authentic Marxism of the International Socialists. Some of the asides in his essay look suspiciously like window dressing. The difference seems to be that Thompson swiped a bit of Trotsky without acknowledging it, while the SWP proclaimed its trotskyist heritage falsely before quietly dumping it. As it turns out neither of them are real Trotskyists, because the bits they swiped or reluctantly acknowledged are not the essential Trotsky. Thompsons 'transitional program' grasps the dialectical process but, like the SWP, relies on some voluntarist process or 'spontaneity' to make the revolution. The essential role of the revolutionary party to unite objective and subjective reality through program and practice is missing. In Thompson's case vountarism could be a genuine ignorance of the concept of a Leninist party, rather than a rejection of the caricatures in existence. In the SWP case 'spontaneity' is a cover for the party's bureaucratic centralism. On the most important question of independent working class politics they both end up in the same camp, building a national road to socialism through a popular front. For Thompson this was the CND that blocked with British democratic bosses against the US. For the SWP this is any broad left 'progresive' bloc that can include bishops and mullahs. The essense of the popular front is petty bourgeois intellectuals and bureaucrats patronising (while praising)the workers for their backwardness and joining bosses governments to pressure them (i.e. beg) for 'socialist' policies. The period of British politics from the 50s to now doesnt have a lot to show for it. For me that's because there is no real Trotskyist party. The only group that I think is putting up a fight at the moment is the majority of Workers Power. It exists as a healthy force precisely because it broke from the SWP and the failed trotskyist currents who ended up in reformist blocs. So the main contradiction it seems to me is between the reformists, both New Left and fake trotskyist, and revolutionary trotskyism i.e. the crisis of revolutionary leadership. This is an interesting and useful contribution. The material on Challinor and Thompson is of particular interest. I am quite sure Paul Blackledge can defend his reading of Thompsopn. I should just like to comment briefly on two other points. Firstly, thanks for an interesting article. I haven't read Paul Blackledge's piece, but it seems from your description of it that his reading of the history of the New Left is very forced in order to fit his aim of exalting Cliff et al - although I should probably have a read of the offending article. Secondly, I was wondering if you could possibly share with me the conversations you conducted with Dorothy Thompson, John Saville and Raymond Challinor? If your article is anything to go by, they would be very useful material for my dissertation. My email address is hia04cch@shef.ac.uk - I would have emailed (bit more personal) but I couldn't find an address and I wasn't sure who the author is!